The Cultural Impact Development Fund offers repayable finance between £25,000 and £150,000 to arts, cultural and creative organisations that are committed to improving the quality of their impact practice and evaluation and could benefit from external support with this. 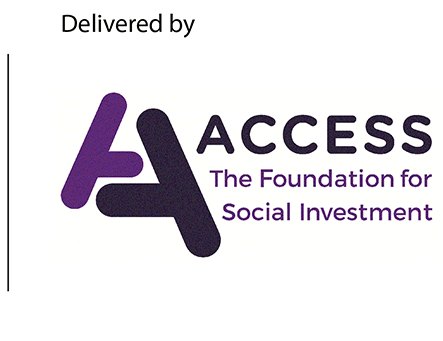 The programme is launched in partnership with the Growth Fund, delivered by Access – The Foundation for Social Investment, with finance being provided by its partners Big Lottery Fund and Big Society Capital. Cultural Impact Development Fund will pioneer the use of financial incentives to drive the achievement of social impact targets in its investment portfolio, making it one of the few impact investment funds with a clear trade-off of financial return for the attainment of social outcomes. Arts organisations have a long history of working in different social impact areas but many have room to improve how they demonstrate the change they create. In the past, we have often found that organisations have the desire but lack the capacity to be able to do this. Our ambition is to help articulate more clearly the positive social change they are uniquely placed to have on individuals and communities.This is why we have set up a fund that offers structured support to build organisations’ social impact capabilities, including how they articulate, monitor and evaluate their impact. Alongside this, In March 2018 we published a report examining the landscape for repayable finance among arts and culture enterprises, which pointed to an unmet demand for small-scale investment. The findings suggested that 41 per cent of organisations considering taking out repayable finance in the next five years would take out less than £150,000. We want to provide affordable repayable finance that meets the needs of organisations in the arts and culture sector, so we took these findings on board when setting up the Cultural Impact Development Fund.